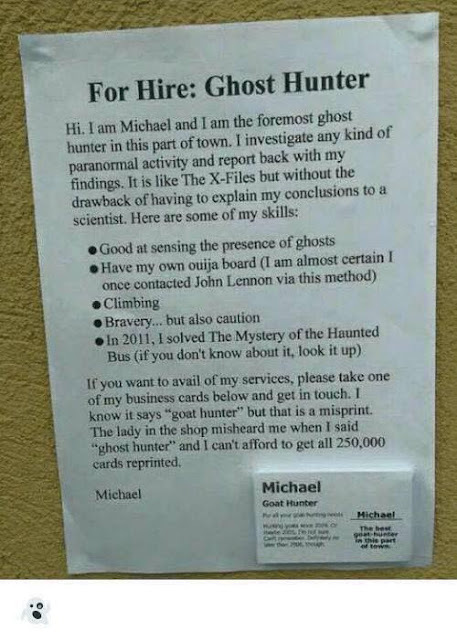 If you're experiencing paranormal activity and need help, then Michael might be your guy! If you own a farm and your goats run away one night, then Michael might also be your guy! Just, give him a call...it looks like he could really use the money, lol.